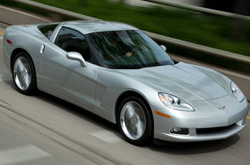 2013 Chevrolet Corvette reviews from Midway Chevrolet can be found underneath the video below. We take our obligation to furnish the most perfect reviews composed by Chevrolet automotive writers - it's just another thing that makes us the stellar Chevrolet retailer in Phoenix. Chevrolet Corvette information you can rely on to make smart decisions is right here - each article is full to the hilt with [helpful information and specs - all at your fingertips. Don't wait any longer - get started on your research! 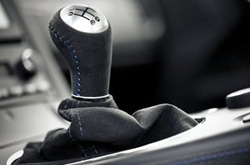 Comparing the 2013 Chevrolet Corvette head-to-head with against vehicles like the 2013 Ford Shelby GT500, Dodge SRT Viper, Nissan GT-R and the BMW M3, and you will notice that the 2013 Corvette transcends the competition in numerous areas. Check out our bullets to see why! No mom and pop car repair sites in Phoenix, AZ offer Midway Chevrolet's phenomenal combination of certified Chevrolet Corvette service techs, lengthy warranties on all work and Chevrolet OEM parts. Chevrolets in Phoenix can take a walloping, so turn to the auto repair buffs in Phoenix - Midway Chevrolet. In addition to more involved work like muffler maintenance, we tackle less tricky stuff like tire rotation and checkups - and this is merely a fraction of what we handle. Also come see us for windshield wiper replacement, customary oil changes and more. For quality Chevrolet repair in Phoenix, drive your Corvette to Midway Chevrolet, where you can expect customized service. Get outstanding savings - before you head over to our repair division, bring a coupon. Click the link under this paragraph!